Seeing Martin Place requires time and efforts, so if you feel hungry after, come to this steakhouse for a good meal. 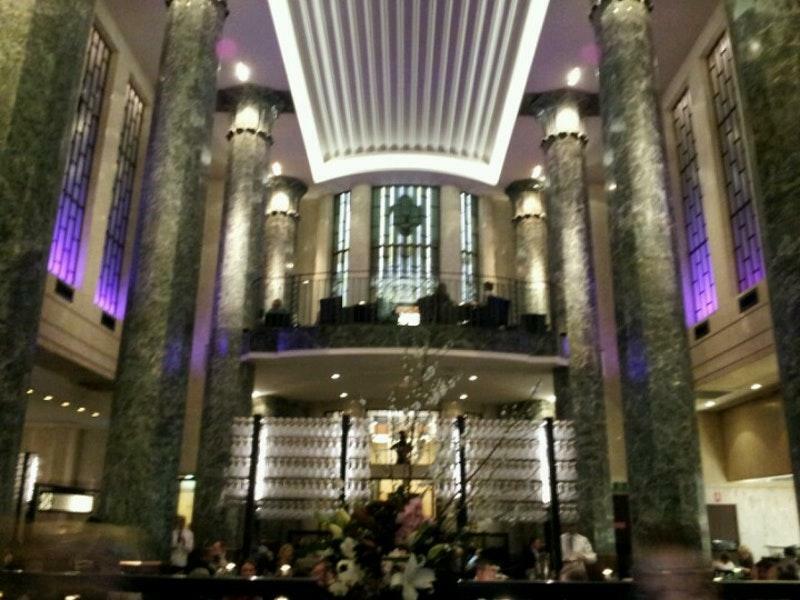 The hallmark of Rockpool Bar & is serving tasty onion strings, wagyu steaks and oysters. You can share nicely cooked cupcakes, gâteau and Pavlova with your friends and have a nice time here. According to the guests' opinions, waiters offer good malbec, martinis or beer. Check out delicious tea, chocolate frappe or juice. The homely atmosphere of this place allows guests to relax after a hard working day. If you look through the visitors' reviews, the staff is accommodating at this spot. From the guests' point of view, prices are attractive. This steakhouse is a must-see for its tasty meal as well as for the divine decor. 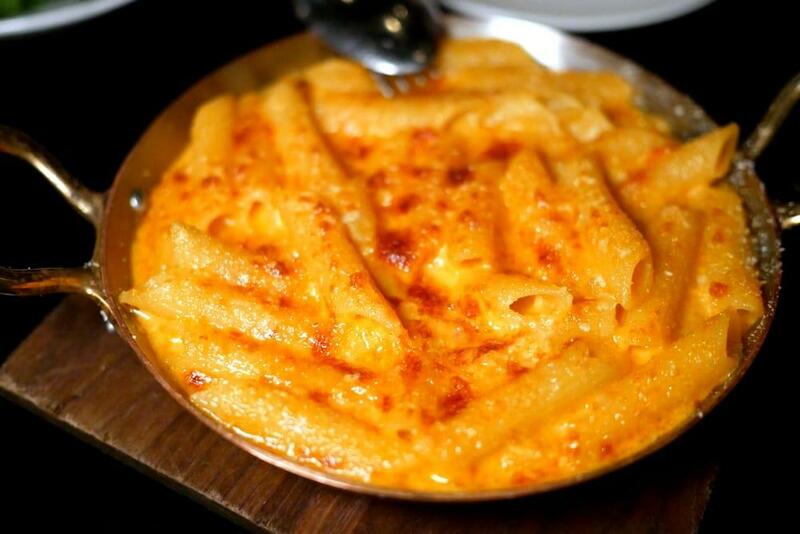 Rockpool Bar & is honored with the score of 4.7 on Zomato. I would start by saying this is a 3.5 but since you only get whole number choices, I rounded up to a 4. I am going to start with my likes. The steak options are great and you really have great variety. That being said, pick wisely. This will give me a way a little if read soon. I had two steaks, both Wagyu, one more lean and one more fatty. I am glad for the experience but I know me and wagyu fat is what I like and enjoy. The second item I very much enjoyed is the service. I sat at the bar and was well taken care of. I would likely come back solely for this reason. The dislikes aren't long. The single glass wine options are very much lacking. I had an interesting multi vintage shiraz that I would have a again but coming from the US, I have very high expectations for top steakhouses and their wine selections. Granted, I tend to be with others and have lovely bottles but I also read reviews in advance and was amazed that none of their wine scored higher than slightly above average. I fly enough to know everyone wants to have a name for that eclectic "find" but in reality there are far too many excellent wines to not have any on the single serving menu. Two Hands and MollyDooker each have reasonably priced bottles that can be served buy the glass that year in and year out are excellent. My second dislike is I am now getting very used to steaks being presented raw. I believe on any given night, the cut of each steak varies and something representative would be nice to see. A premium service requires a premium presentation. Overall, I enjoyed the experience and the great service. The wine would actually make me think twice as I want a wonderful glass to match the steak and am happy to pay a little extra for a significantly better glass. There are lots of lovely South American Malbecs that also can be served as a premium product without breaking the bank. 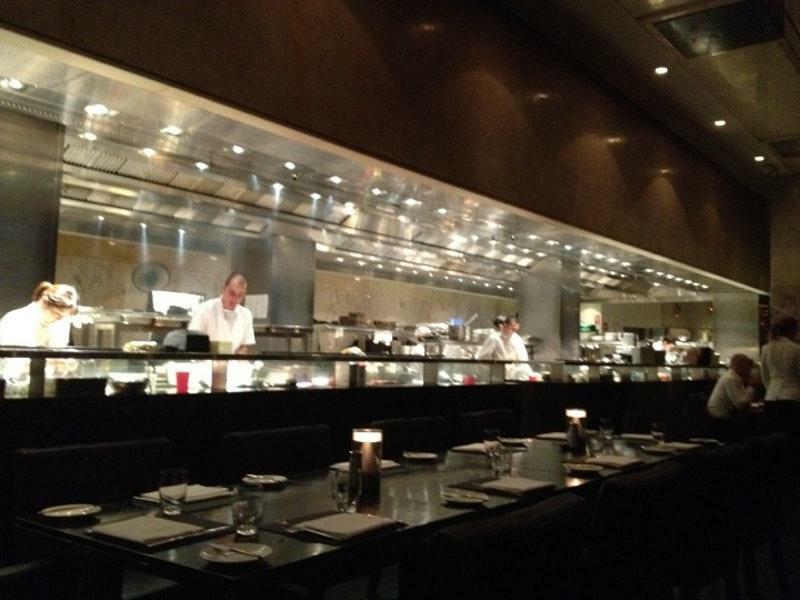 Enjoy Rockpool but just plan ahead a little to get that great experience versus a good one. $26 Wagyu burger is overrated, brioshe bun was dry.